David Rylaarsdam. John Chrysostom on Divine Pedagogy: The Coherence of His Theology and Preaching. Oxford Early Christian Studies. Oxford: Oxford University Press, 2014. Pp. xxvi + 287. ISBN: 9780198715382. $105 [Hardback]. 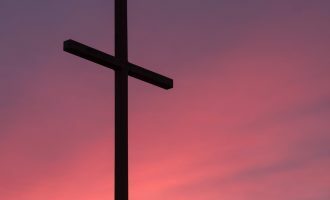 David Rylaarsdam, Professor of the History of Christianity at Calvin Theological Seminary, seeks to defend John Chrysostom against many of his modern assailants. Chrysostom, some recent critics claim, was merely a popular speaker “largely devoid of theology” and who was “exegetically impaired” (2). This modern picture of Chrysostom as having no coherence to his theology and method is something that Rylaarsdam is seeking to change. More specifically, the author seeks in this volume to demonstrate how prominent the theme of divine adaptation (συγκατάβασισ) is in the biblical theology of Chrysostom. This theme provides the sturdy spine of his theology and ministry (3). This thesis is demonstrated by first examining the classical understanding of rhetoric and pedagogy, principally shown through references to Plato, Socrates, Aristotle, and others. Rylaarsdam then argues that Chrysostom reappropriates much from the classical rhetoric tradition and explains God’s interactions with mankind through the lens of this tradition, especially through the idea of adaptation. As the consummate rhetorician, God perfectly adapts his dealings with humanity in such a way as to enable his people to progress toward their ideal form (paideia). In the first chapter, Rylaarsdam does a thorough job explaining several of the aspects of classic rhetoric. 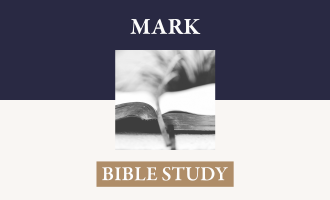 For example, he gives an extended discussion to the idea of adaptation (συγκατάβασις), especially as it relates to God’s overall love for mankind (φιλανθρωπία), the character (ἠθος) of a classic orator, the nature of the audience, and the nature of the message. The author also points out that this understanding of adaptation was not a deviation from his theological tradition, especially that of the Cappadocians (29). 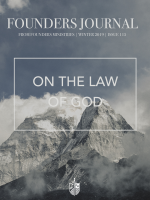 In the second chapter, Rylaarsdam explains how, just as the goal of a classical education is inculcation of an ethical ideal, so too is God’s pedagogical goal to implant a virtuous way of life in his people. God’s methodology for imparting virtue in his people parallels much of what is found in classical paideia: the use of corporeal images (principally seen in the incarnation), variation, and progression. Having discussed God’s pedagogy for mankind, Rylaarsdam them moves to the heart of the book, an examination of the theology of Chrysostom. 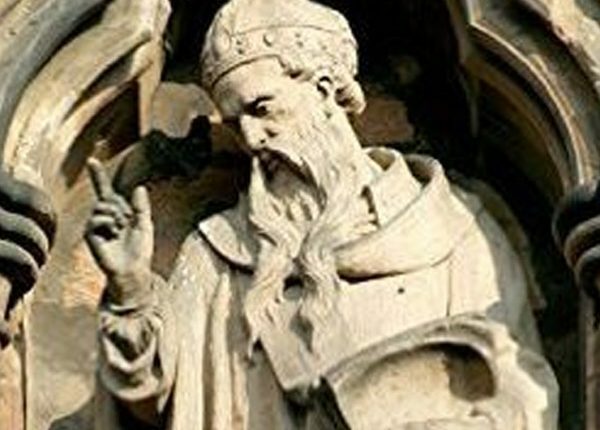 He demonstrates that the theme of divine adaptation is integral to every major theological area of thought for Chrysostom, and even contributes to his theological coherence (contra his modern detractors). This section surveys Chrysostom’s understanding of creation, history, Christology, soteriology, ethics, sacramental theology, and pastoral theology. Additionally, and of particular note, is an analysis of Chrysostom’s exegesis and hermeneutics (111ff.). The author classifies Chrysostom’s exegesis as a “sacramental reading” that does not neatly fall into dubious the categories of “Alexandrian” or “Antiochene.” Chrysostom avoids the twin pitfalls of “literalism” and “allegorism.” Rather, God’s goal in accommodation is to lead us to a higher truth; thus, Chrysostom is able to steer between the “excesses of Origen and Theodore” (128). Also of note, Chrysostom’s understanding of Christology is informed by the theme of divine adaptation. Principally seen in the incarnation, God’s purpose is to bring humanity back into fellowship with him. God adapts himself to humans through various OT appearances. Then, God becomes enfleshed, continuing his teaching and saving activity, actively adapting his pedagogy in order to persuade his people to believe his plan of salvation (οἰκονομία) and, by the incarnation (οἰκονομία), making salvation possible (132ff.). Rylaarsdam then gives an entire chapter to the apostle Paul, the most accomplished imitator of God’s adaptive pedagogy. According to Chrysostom, no one else was willing to adapt to others to the same degree that Paul was. Paul followed Christianity more precisely and accurately than anyone else and, thus, was the most willing to adapt to the weak (158). This adaptation is demonstrated by comparing Paul to the consummate teacher of philosophy, mimicking God’s techniques of persuasion, his character, and his rhetoric. The final two chapters provide the theoretical framework and the historical example of Chrysostom’s understanding of the priesthood and it’s relationship to Christianized paideia. Scripture is the literature that priests are to use to form people into a Christian culture. Priests are to follow God’s adaptive example by adapting their philosophy lessons to all people. 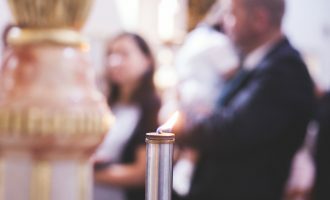 Like God’s character, the character of priests also plays an important role in their persuasiveness. This understanding of the priesthood is further demonstrated through an examination of Chrysostom’s homiletical methods in the final chapter. The author demonstrates that Chrysostom’s theoretical understanding of adaptability is consistent with his practice. Rather than seeing Chrysostom as having an unsophisticated theology, a harsh and naïve tone, and apparent contradictory approaches to ethical issues, Rylaarsdam shows that these curiositites are best explained by a coherent theology of adaptability that informs Chrysostom’s homilies. Overall, this book is a welcome response to the recent scholarly antagonism shown toward Chrysostom. While he certainly did not reach the theological heights of Nyssen or Nazianzen, the pastoral and pedagogical concern of Chrysostom does shine through his homilies. 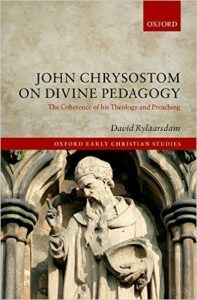 This work by Rylaarsdam is a worthy introduction to the thought of Chrysostom for any serious student of early Christian theology. With technical precision and a wide range of conversation partners, this volume is a serious contribution to Chrysostom studies. *This review originally appeared in: Fides and Humilitas: The Journal of the Center for Ancient Christian Studies 3, Winter 2016. 152­–155.